I’ve been both using, and having clients implement split squats with their back leg elevated on a band (instead of a bench, stand, or pad) for just over a month now. It’s an amazing split squat variation that causes your front leg to do a lot more work with less external loading. 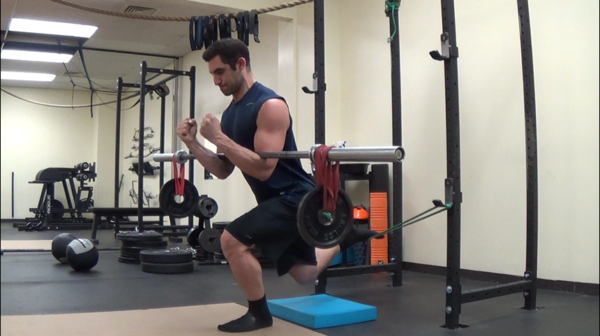 It also seems to help many people progress into the airborne lunge/skater squat with less difficulty. I first saw this idea shown by Jason Spray but wanted to really expand on it because I loved it so much. This video shows some of what I’ve learned along the way regarding how to make them easier, harder, and all of the possibilities in between.